South Hampstead has a range of educational activities spanning textual learning, shiurim, one off talks and lectures, lecture series and scholars in residence. Below are some of the regular classes. At 9am on Shabbat mornings, join Rabbi Shlomo to explore themes in the weekly Parsha (Torah Reading). Please check the front page of the website as the time may change if the Shacharit (morning) service starts early on a particular Shabbat. Each Shabbat throughout the summer at 7.30pm. The forum provides opportunities for 1:1 study, followed by a shiur. The 1:1 study is aimed at facilitating learning in a stimulating environment through which Hebrew texts can become more accessible and skills can be enhanced. All welcome, beginners to more advanced. For more information of format and content , please contact Rabbi Eli. Please also get in touch if you would like to be allocated someone to study 1:1 with during these sessions. With Rabbi Shlomo after Mincha (afternoon prayers) on Shabbat afternoon during Seuda Shelishit (the Shabbat afternoon/early evening meal) in the Shul hall. This text based class is currently studying the book of Kings covering the early history of the Jewish nation. Please check the front page of the website for the exact time each week. Taught by Norman Turner on Wednesday nights, 8.45pm-9.45pm. You do not need to have a background in Talmud study as long as you are able to follow Hebrew text as Norman teaches. 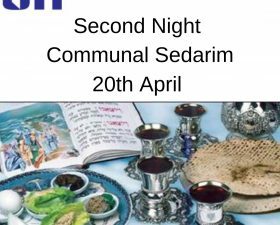 For more details please contact the shul office.